Where is Camp Lohikan located? Camp Lohikan is located in the Pocono Mountains of northeast Pennsylvania just outside the village of Lake Como in Wayne County. We’re about 130 miles northwest of New York City (2.5 hour drive) and 160 miles north of Philadelphia (3.25 hour drive). The camp sits on a mountain top and occupies over 1200 acres which includes its own spring fed lake. The views from the campsite are spectacular and include miles of mountain vistas and natural beauty which set the tone for the perfect summer camp experience. At a quarter mile above sea level our mountain air is clean and dry. Summer days are typically warm and the nights are cool. It’s the ideal location for summer camp! Round-trip coach bus transportation is available from New York, New Jersey, Philadelphia and Baltimore on the first day of camp, at the end and beginning of each four week session, and the end of the summer. There is also a bus that services six weekers from New York and New Jersey at the end of the six week session. Campers traveling by air are met by Lohikan staff members at Newark Airport in New Jersey and JFK Airport in New York and escorted to camp. Parents can also drive their child to camp. Should I take the bus to camp? We recommend it. Most kids take the bus to camp if the bus pickup site is located within a convenient driving distance of home. The bus ride to camp is the first camp activity of the summer! It’s where old friends reunite, new friends first meet, and counselors introduce themselves. The coach buses are equipped with air conditioning, comfy seats, and a restroom. Last summer we had campers from 26 states and 19 countries. Many of our campers come from New York, New Jersey, Pennsylvania, Connecticut, Florida and the Washington DC area. We also have campers who come from Western and Eastern Europe, North and South America and Asia. Just think, you’ll have camp friends from all over the world! The camp’s population is divided into three girls and boys divisions: JUNIORS, INTERMEDIATES, and SENIORS. Each girls' and boys' division is composed of 60 to 90 campers. 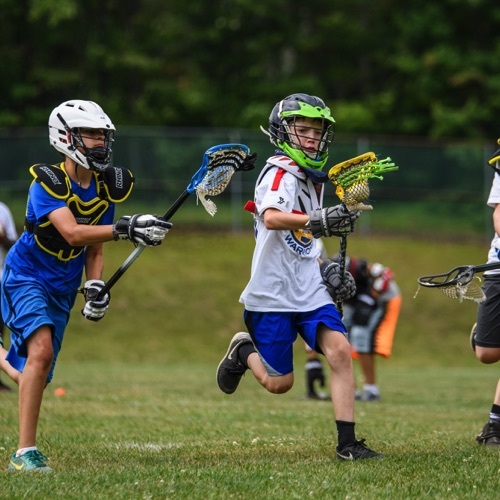 At this size we have found that our camper population is large enough in each age group to support a full and varied camp program (especially team sports), yet small enough to ensure our personal involvement with each camper. JUNIOR campers are children entering the first through fourth grade (6 to 9 years old). SUPER JUNIORS are entering the fifth grade (10 years old) and are considered part of the junior division although they are given a later curfew and the option of joining the elective program. The INTERMEDIATE division is composed of campers entering the sixth and seventh grades (11 and 12 years old). SENIORS are campers entering the eighth through tenth grades (13 to 15 years old). Campers can continue their camp career beyond the age of 15 (entering 11th and 12th grades) by participating in Lohikan’s Leadership Program. Participants receive "hands-on" leadership training and assume responsibilities in a supervised and FUN atmosphere. Community service projects are part of the program as are sessions devoted to guiding participants in preparing for the college application process. How many campers are assigned to a cabin? What is the staff to camper ratio? Junior cabins are composed of six to ten campers. Inter cabins are assigned eight to twelve campers. Senior cabins have ten to sixteen campers. Two to four counselors are assigned to a cabin. Every three to six cabins are combined into a unit that is supervised by a division director. Division directors are adult professionals and members of the camp’s senior staff. Our staff to camper ratio is better than 1:3. All of the cabins are well-maintained, comfortable, wooden structures. Each cabin has a large living area and its own bathroom which includes two to four individual stall showers, two to four private toilets, two to four sinks, and ample hot and cold water. Cabins are equipped with lights, electrical outlets, windows with screens, doors, a sheltered porch with lights, fire extinguisher, smoke alarm, and a walkway. The majority of the beds in most cabins are single beds. Double-decked beds are kept to a minimum. Campers are provided a “cubbie” dresser for personal belongings and share an open closet area used to hangup clothes. Girls and boys cabins are located on opposite sides of the camp. The bunk unit is important at Camp Lohikan. We go to great lengths to make sure that campers are assigned to cabins that will promote the formation of camp friendships and result in a positive camp experience. Campers are bunked according to age, grade, and session. In most age groups, cabins are composed of campers enrolled for the same session. Our goal is to have bunkmates begin and end their camp experience together. New campers are assigned to cabins with at least two other new campers. The remaining campers are returning campers, which is a good thing. The sharing that occurs is important. "Returning" campers take great pride in “showing the ropes” to the new campers and new campers acclimatize faster when they have the benefit of living with seasoned campers. Can I request that my child to be bunked with a friend? If your child's friend is the same age, grade, and enrolled for the same session, completing a bunk request form will ensure that the friends are bunked together. Other requests are met on a case by case basis. What are the camp’s sessions? Our summer season extends for approximately eight weeks and many of our campers enroll for the entire season. We realize that family plans may necessitate a shorter enrollment so we have designed our program to accommodate eight, six, four, and two week enrollments. After the eight week summer program we operate a seven day Mini-Camp Program designed to give hesitant first-timers an opportunity to find out what sleep-away camp is all about. Camp Lohikan’s evening activities, special events and trips do not repeat during the eight week season. The half season sessions are complete programs equalized in terms of trips and popular camp events. The two-week programs are equalized in terms of popular special events and evening activities. Lohikan is a non-sectarian camp. There are no religious observances incorporated in our program. Children of many faiths attend Lohikan and all are welcomed. Optional Jewish worship services are held on Fridays after dinner and before evening activities during free time. The services are held on camp grounds and led by a member of our senior staff. Christian services are available on Sundays. Campers interested in attending services are accompanied by a member of our senior staff (and counselors) to Catholic and Protestant services located in the village of Lake Como. What kind of camper does Lohikan attract? 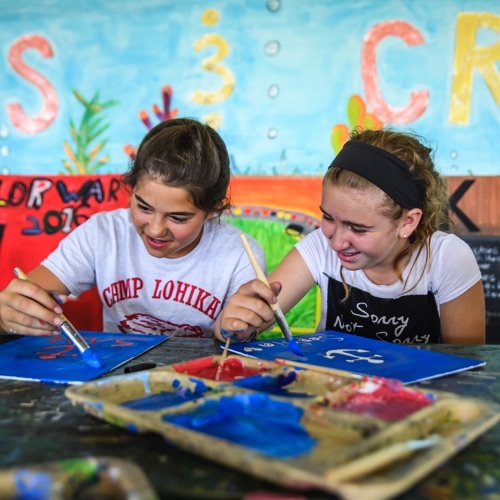 Lohikan attracts campers who are looking to make NEW FRIENDS, learn NEW SKILLS, and have FUN! We are a relaxed camp environment. There's no focus on fashion, social status, or competition. Campers receive positive recognition for acts of kindness at weekly campfires with the presentation of the “Chief’s Award”. Bullies, cliques, and offensive behavior are not tolerated. Tell me about your discipline policy. All staff members receive training in behavior management during staff orientation. Most disciplinary matters are minor and are handled by cabin counselors, division directors, and head instructors when appropriate. The division director is the adult professional who works most closely with the campers assigned to the division The division director checks in with each camper in the division on a daily basis. In cases where a disciplinary matter is serious or reoccurring, the parents are contacted and requested to take part in the resolution. Campers who do not hold the prospect of living in harmony with the other kids in camp are dismissed. Bullying, thievery, drugs/alcohol, and disrespectful behavior are not tolerated. 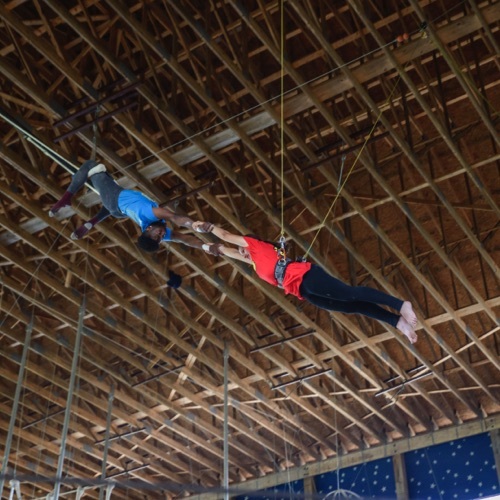 Prior to camp we do a lot of things to get first-time campers into the “swing of things”. To prepare campers and parents for the camper’s time away from home a package of literature is provided after registration which will help parents get ready for camp and will include tips that will ensure the camper’s successful adjustment to camplife. We also schedule an Open House at the camp in the Spring which is a perfect opportunity for first-time campers to meet, enjoy a barbecue, take a tour of the camp grounds, meet summer staff members and maybe even make a new camper friend! Click here for details regarding this year’s Open House and tour dates. Another program we offer first-time campers is our Pen Pal Program. Interested first-time campers will be provided the names and addresses of a returning camper who can’t wait to make a new camp friend! Lohikan’s health center is typically staffed with a medical doctor and 5-6 registered nurses who are all residents of the camp. When scheduled a day off or when the doctor is not on camp grounds, we utilize the services of a local medical center. The camp health center includes an examination room, male and female dorm rooms, private isolation rooms and living quarters for all of our medical staff. The camp health center is insulated, heated and air conditioned for the comfort of our campers. Emergency medical service is located less than 4 miles from the camp and we are within 30 minutes of the Wayne County Hospital, a 24-hour fully-equipped hospital where a wide variety of specialists are available. We also have a dentist on call during the summer for our campers. The health center is open 24 hours a day. While sick calls are held after every meal, campers who are ill are treated at the health center 24 hours a day. All medications are stored in the health center. Daily medications are logged into a medical database from which daily medication lists are prepared. Medications are distributed and documented by one of our registered nurses. Parents are notified by a member of the medical staff if their child has been in the health center overnight, their child has been placed on prescription medicine, or their child has been taken to an out-of-camp doctor, emergency room or hospital. You can rest assured that our medical staff will keep you informed regarding the health of your child. How do you monitor camper hygiene? Campers are supervised daily for proper grooming and cleanliness by their cabin counselors and their division directors. Campers are required to take a daily shower and brush their teeth twice a day. Periodic wellness assessments are made by the infirmary staff to confirm good health. On sunny days campers are checked for the application of sunscreen. Sunscreen stations are located throughout camp. Safety always comes first at Camp Lohikan. Our risk management manuals address the operation of every program and facility where injury is possible. These manuals establish required supervision levels, equipment checks, and operating guidelines to ensure the safe participation of all campers. Safety procedures are an integral part of every daily activity. Every activity is staffed by instructors who have their skills verified and have received the training required to safely operate the activity. All activity equipment is the very best available and designed to assure the maximum safety of our campers. Safety procedures for each activity are carefully reviewed with campers prior to participation and all safety procedures are strictly enforced. Campers and staff are trained to recognize and respond to signals in case of an emergency. Emergency procedures are practiced by way of drills held early in every session. We train our staff in first aid and CPR during the staff orientation period. We also train staff members in the proper use of fire extinguishers, which are attached to every building. Camp Lohikan has been accredited by the American Camp Association since its beginning. Our director, Mark Buynak, has been an ACA Certified Director since 1984. To be accredited by the ACA the camp must undergo a thorough review of its operations. There are over 300 standards covering everything from staff qualifications and training to emergency management. In addition to the ACA accreditation, we are inspected annually by the Pennsylvania Health Department and the Department of Environmental Resources. Regular inspections by these agencies cover buildings, food service, dining hall, kitchen, septic systems, drinking water, and lake water. We continue to receive top ratings from the state agencies and the ACA. How are the campers supervised during the day? JUNIOR campers (fifth graders and younger) never leave the sight of their cabin counselor(s) – day or night. 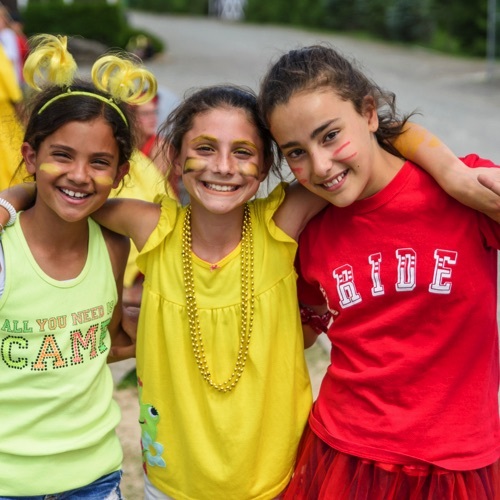 During the day INTERMEDIATE and SENIOR campers (sixth graders and older) participate in the camp’s elective program and travel to activities according to their individualized schedule. As they travel from one activity site to another they are supervised by members of the senior staff and instructor staff members. Campers are checked in and out of activity sites by instructors with the use of a computer generated attendance roster. If a camper does not report to an activity as scheduled, a member of the camp’s attendance supervisory staff locates the camper and the absence is investigated. The computer generated elective program provides for the accountability of every camper participating in the program. Activity attendance is required and a condition of enrollment. How are the campers supervised at night? At least one cabin counselor returns to the cabin with the campers at curfew. The cabin counselor(s) supervise the campers as they get ready for bed. After lights-out the cabin counselor(s) remains at the cabin. In addition to counselor coverage, three members of the camp’s senior staff are scheduled night duty and confirm that all is well by visiting the cabins up until 12:30am. At 12:30am, all staff members return to their quarters and the night watch takes over. All senior staff members live on camp grounds and are accommodated in close proximity to the living quarters of our campers - no more than 50’ away. This close proximity puts our most mature adult staff members in locations convenient to supplement the supervision provided by cabin counselors. Senior staff members are available 24 hours a day. How safe is the camp’s location? In our 62 years of camp operation we have never had a security concern or situation arise that endangered any of our camp residents. We are located in a secluded area which has seen little development in 61 years. We are not close to a city, main highway or thoroughfare. The camp is situated on 1200 acres, which is only accessible by a two mile long dirt road. The camp entrance is gated and monitored. No one enters the camp grounds without clearance. In addition, the camp is equipped with security cameras in certain areas. Lastly, Lohikan’s lake is private and surrounded by camp property. Lake use is restricted to camp residents. Our food selection accommodates even the pickiest eaters! Eating healthy and supplying the proper nutrition is imperative, especially when campers are so active. So we provide food that tastes good and is good for them. Our camp chefs are culinary professionals who have been preparing healthy and nutritious meals for Lohikan campers for many years. Our menus have been designed by a nutritionist to be well-rounded and appealing to kids. The menu is "Kosher-style" (no pork or shelled-seafood) and is served buffet style in well-balanced three course meals with plentiful fruits, vegetables, milk and juices. A vegetarian entree is offered at every meal as well as an alternate to the main entree. Our breakfast bar offers a variety of cereals, fruit, yogurt and other delicious items, in addition to a hot, home-cooked entrée. Lunch and dinner meals feature two large salad bars, baked potato bar and a pasta bar. 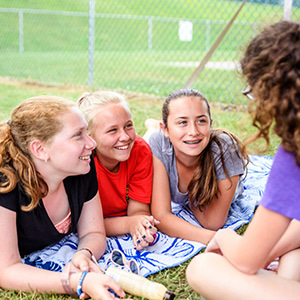 Weekly barbecues and lakeside picnics are favorites with our campers. We also vary the menu with weekly theme dinners, including Italian, Asian, Mexican, Western and a Beach Party Luau! Campers and counselors sit together by cabin in the dining hall and all meal servings are unlimited. No one ever leaves the table hungry! A sample menu is posted on our website and can be viewed by clicking here. We do our best to accommodate campers with special dietary needs or food allergies. Please contact us if your child has serious food restrictions or allergies to discuss the options available. Please note that Camp Lohikan is not a nut free camp or a gluten free camp, and is not recommended for children with serious nut or gluten allergies. This not a uniform camp. Lohikan supplies campers with a Camp Lohikan t-shirt, which is worn when the camper participates in an inter-camp game or attends an off-camp trip. There is nothing you are required to purchase. Camp uniforms are expensive and are typically only worn at camp. The argument that camp uniforms reduce “clothes competition” has little application to Lohikan where our campers are not overly distracted by fashion and typically wear comfortable clothes. Laundry service is supplied as part of the camp tuition. Clothing is collected by cabin on a weekly basis. The laundry is washed and dried with commercial equipment located on the campgrounds. The laundry is completed and returned to the cabin within 24 hours. Based upon the laundry schedule and turnaround time we recommend that your child have enough clothes to last eight days. Campers allergic to certain detergents can be accommodated. What kind of clothes does my child need at camp? No special clothing or equipment is required to attend camp. A clothing list guide is posted on our website. Click here. As a parent, we know that it is important for you to keep up to date with the progress of your child. Parents are free to telephone the camp as often as they like. Your child’s division director (the adult senior staff leader of the child’s age group) will get back to you in a timely manner and provide you with an up-to-date status report on your child. The camp policy regarding outgoing phone calls (campers calling home) is based upon the understanding that phone calls can be the most challenging form of contact for campers. Hearing a parent’s voice can be difficult even for a well adjusted camper. Consequently, we limit campers to one phone call every two weeks. No phone calls are made within the first ten days of the camper’s arrival into camp. Campers can email home as often as they like. Email is part of the camp program and is available whenever the camper schedules the email activity, media arts or computers. Parents, friends and family members can also email the camper while the camper attends camp. CampMinder, the camp's management program, handles this service and also hosts the camp's summer photo gallery which featured more than 14,000 photos last summer! What’s the best way to communicate with my child during the summer? The best way to communicate is by letter or email. Campers are encouraged to write or email home at least twice a week. Emails are printed and delivered daily with the US mail. Can I view photos of my child at camp? We post photos of campers every day of the summer! While we can’t guarantee that you’ll see your child every day, we do our best to make sure everyone’s photo is taken and posted online consistently throughout the summer. My child will have a birthday at camp. What do you do to make it special? Birthday celebrations at Camp Lohikan are special! The morning begins with the raising of the birthday flag and the presentation of our very cool birthday t-shirt. Thereafter the entire camp joins in singing our special Lohikan birthday song. At dinner, the lights in the dining hall are dimmed and the birthday cake and ice cream are delivered. It’s a big day for the birthday boy or girl …and their cabin-mates! The cake and ice cream are really good!!! Who are the owners and directors of Camp Lohikan? Camp Lohikan has been owned and directed by the Buynak family for 61 years. The camp was purchased in 1957 by Mike and Arline Buynak. In 1983 Mike and Arline retired and their son Mark took over the directorship of Camp Lohikan. Mark Buynak is uniquely qualified for the position of camp director having literally grown up in Camp Lohikan. Starting as a camper at the age of five, Mark has participated in every phase of camper life and has worked in most of the camp's counseling and supervisory positions. A camp director with first-hand knowledge of camper life means a lot. It's evident in the selection of caring, fun-loving counselors and involved supervisors, the design of our dynamic camp program, the range of activity choices and even the little, but important, things like how we celebrate camper birthdays and tooth fairy visits. Mark is joined in the directorship of Camp Lohikan by his wife, Sandy. Mark and Sandy are both "hands-on" directors, involved in every facet of daily camp life. They have four children attending camp and are sensitive to the concerns parents face when entrusting the care and well-being of their children to others. Mark and Sandy live and work on the camp grounds every day of the camp season and actively supervise the campers and the camp program. They get to know every camper in camp. If there is a problem, you can count on Mark and Sandy to solve it. Their "hands-on" direction ensures that the care and safety of each child is always the highest priority. Tell me about Camp Lohikan’s management team. Supporting Mark and Sandy is the camp’s management team that has a total of more than a 200 years of combined camp experience. Camp managers are co-directors and assistant camp directors, most of whom are year-round employees of the camp. They assume responsibilities for health care, camper counseling, staff management, food service, program operations, camp administration, year-round operations, transportation and maintenance. Joining the camp managers in the operation of the camp are our senior staff members. Tell me about Camp Lohikan’s senior staff. Senior staff members are teachers, coaches, and child care professionals who join us for the summer season and supervise our campers, counselors and instructors and direct various aspects of the activity program. They have extensive experience working with children and at least 90% return every summer. We have approximately 60 senior staff members living on the campgrounds. 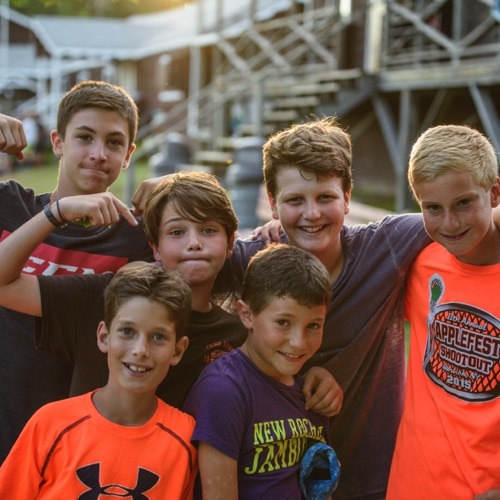 Many of our senior staff members have children enrolled in camp and have chosen to work at Camp Lohikan specifically because it is the unique camp experience they desire for their children. Tell me about Camp Lohikan’s counselor staff. A GREAT camp experience is only possible with GREAT camp staff. This is where we shine! Our in-cabin counselors are college-enrolled staff members who return at a rate better than 50%. This allows us to assign an experienced staff member to every cabin. This means a lot to our campers! Counselors are at least 19 years of age and college sophomores. The average age of our in-cabin staff is greater than 21. Most staff members are education or child care majors recruited from colleges and universities from across America. employ a diverse group of camp counselors from all over the world. Approximately 90% of our counselors are American. Each cabin is assigned to the direct supervision of two to four college-aged counselors. Trained and experienced child-care professionals (division directors) supervise the counselors and monitor camper welfare on a daily basis. Tell me about Camp Lohikan’s Instructor Staff. Department heads are professionals in their field. For instance, Lawrence Wright, Lohikan's Basketball Head, is a professional basketball player in Europe and a former member of the Harlem Globetrotters. Ray Johnson, our Gymnastics Head, was Tasha Schwikert's (Olympian and World Champion) main coach. Mel Nash is an acknowledged expert in the field of competitive swimming and returns each summer to operate Lohikan's SwimFaster Program. All of our activity departments are headed by experts in their field. In addition to distinguished program heads (i.e., Horseback Riding, Circus, Theater, Dance, Music, Rock Band, Swimming, Waterfront, Adventure, Survival Camp, Spy Camp, etc.) we also have numerous camp professionals on board assuming positions like assistant directors, head counselors, division directors and other camp management positions. Program heads are assisted by staff instructors who are primarily college-enrolled individuals or college graduates with college level training and coaching or teaching experience. How is the staff screened? A lot of time and attention is devoted to hiring qualified instructors and child-centered counselors. The staff members we select must be excellent role models and warm, nurturing caregivers. Extensive staff interviews test for core competencies necessary to be a successful camp counselor. Every candidate is personally interviewed and screened by the staff coordinator and the camp director. Counselor applicants must be at least 19 years of age and entering their sophomore year in college. All staff members must complete a written application, provide excellent references (which are checked), document their experience working with children, and must evidence a strong desire to make a positive impact upon the lives of young people. The staff members we select must be excellent role models and warm, nurturing individuals. Before contracts are offered a thorough criminal background check is performed every year by a professional agency for every staff member. Staff members attend a pre-camp staff training session that extends seven to ten days depending upon the responsibilities assumed by the staff member. The staff training period covers a wide variety of topics such as risk management, first aid, emergency procedures, preventing bullying behaviors, group dynamics, camper behavior management, camper homesickness, camp rules and regulations, and program operations. Each successful phase of the staff member’s training is documented, and upon completion of all training sessions, staff members are qualified as camp counselors. Instructor staff members are trained in the camp’s procedures related to their specialty. Personal skills are verified and instructors are tested to confirm their knowledge of the camp’s safety guidelines, operating procedures, and their ability to teach children. Additional training and coaching is provided to staff members throughout the camping season by program heads and senior staff professionals. In-service training sessions are scheduled every two weeks to reinforce and enhance the skills and knowledge of our staff. Mark and Sandy Buynak are very hands-on camp directors. It's not uncommon to find Mark visiting camper cabins during rest period, taking pictures at the activities during the day, and engaged with the kids during evening activities. Sandy is usually busy supervising health care operations and checking on campers at activities during the program day. Mark and Sandy are always on duty, day and night. They take no days off during the camp season. Camp is what they live for! Is the program structured or non-structured? Camp Lohikan operates a structured program. Our summer program and daily schedule is prepared each year and posted so that children know what’s happening and when. 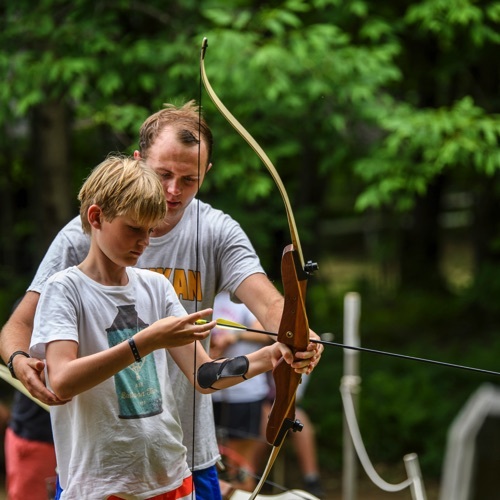 With respect to PROGRAM FORMAT, junior campers (campers entering the 4th grade and younger) participate in the camp’s CABIN-STRUCTURED, counselor-supervised activity program. Inter and senior campers (6th graders and older) participate in the ELECTIVE FREE-CHOICE program. They choose all of their activities on a daily or weekly basis. Super junior campers (entering the 5th grade) can do both. They start their first week in a cabin-structured program where we think it's easier for a younger camper to adjust to camp. After their first week those super juniors who have parental permission are given the option of joining the elective program. How much choice is there in the elective program? You would be hard pressed to find a camp program offering more choices than Lohikan. Older campers (super juniors, inters and seniors) get to CHOOSE ALL OF THEIR ACTIVITIES. Lohikan’s elective program is computerized which allows for parental controls, attendance supervision, and guaranteed placement in the activities that you and your child choose! It’s the ideal “individualized” program and is a huge success with our older campers. We have 30+ years of elective programming experience so "we know our stuff". Every camper is guaranteed to receive the activities they want! Today’s child demands choice!!! Forcing an older child (5th grade or older) to participate in an activity just because it appears in the bunk’s schedule is a thing of the past. The elective free-choice program addresses the desires and interests of today's child better than any other program format. Campers attend activities because they want to! The enthusiasm they bring to the activity is contagious and it lifts the spirit of everyone. More is accomplished when everyone’s on board and satisfaction is higher when everyone is doing what they want. Participation is not a problem in the elective program because the campers are not being forced to participate in an activity that doesn't interest them. When participation is enthusiastic and the campers are having FUN, amazing things happen! How are younger campers scheduled? Junior campers (4th grade and younger) travel together as a cabin group with their cabin counselor(s) according to a schedule of activities designed for the age and gender of the cabin. The junior program is designed to expose younger campers to a wide variety of arts, sports, and adventure activities, provide appropriate skill level instruction, maintain bunk unity, and provide close supervision. 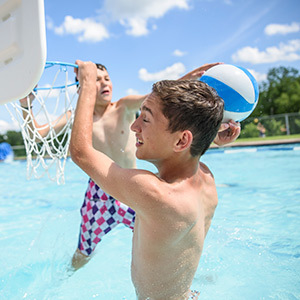 Every junior cabin is scheduled a daily period of swimming instruction (in our heated pool! 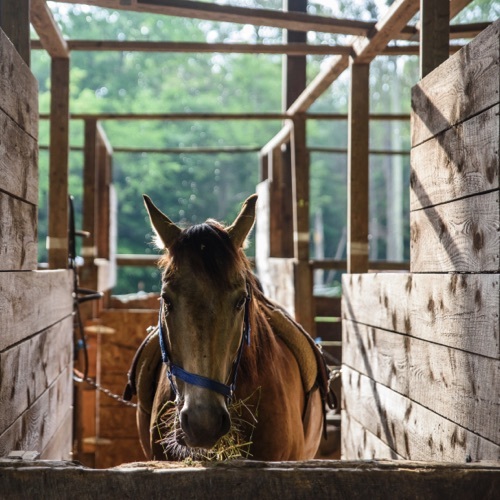 ), a weekly period of horseback riding (no extra charge!) and arts, sports and adventure activities every day. Junior campers also are given activity choices within the cabin-structured program. 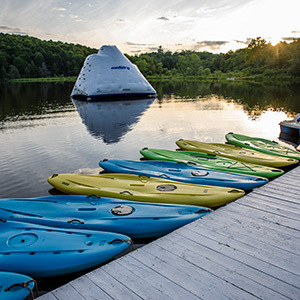 Whenever the cabin is scheduled waterfront activities, creative arts, performing arts, skate park, arena sports and field sports, the junior campers are given a choice of participating in any of the elective activities offered. Campers entering fifth grade after camp are super juniors. As described earlier, they start their first week of camp in a cabin-structured program. After the first week they are given the choice of participating in the elective program. How does the elective program work? Campers participating in the elective program receive an Activity Selection Form in the spring which is used to make activity choices for the first week of attendance. The data is entered into our computer scheduling program, which creates the camper’s schedule of activities for the first week. Activity cards listing the activities assigned that day are printed for each camper on a daily basis. Attendance rosters are also printed for each activity, every period. Activity instructors use these rosters to take attendance. Each morning, before the program begins, there's an activity change period when campers can make changes in their schedule of activities. Weather, requests to travel with friends, and inter-camp games schedules are just a few reasons to make daily changes. After the first week, the camper’s original Activity Selection Form is returned and used to make choices for the next week. Activities originally selected in pencil can be changed by the camper. Parents control what activities are mandatory and cannot be changed by making the original selection on the camper’s Activity Selection Form in ink. Program specialists, division directors, and counselors are on hand when these activity choices are made to help and advise the campers. The “Individualized” Elective Program has been in operation at Camp Lohikan for 30+ years. It’s the ultimate in elective programming! (1) It allows campers to choose all of their daily activities. (2) Provides parents with the ability to control what activities must appear as well as those activities that must never appear. (3) Provides campers with a choice of more than 65 daily arts, sports and adventure activities. (4) Guarantees that the camper will get the activities chosen. No one ever gets closed out! (5) Allows campers to specialize in activities or program areas of their choice. We guarantee that campers can schedule a minimum of 14 periods (approximately 14 hours) a week of instruction in any activity. In most activities there is no limit. The elective program operates six to seven periods a day, six days a week. One day each week is a trip day or special events day. Campers are scheduled activities by division. Inters are generally scheduled activities by gender. Senior activities are coed except for contact sports. Friends who want to travel together are always accommodated! AQUATICS: Swimming Instruction, Free Swim, Lifeguard Class, Sailing, Jet Skiing, Canoeing, Fishing, Water Skiing, Wake Boarding, Boogie Boarding, Windsurfing, Paddle Boating, Kayaking, Boating, Rowing, Water Polo, Scuba. PERFORMING ARTS: Theatre - Acting Techniques, Movement, Song Delivery, Music, Dancing, Costuming, Make-up, Set Design and Construction, Lighting Design, Sound Engineering. Dance - Modern, Jazz, Ballet, Tap, Hip Hop, Aerobics, Choreography. 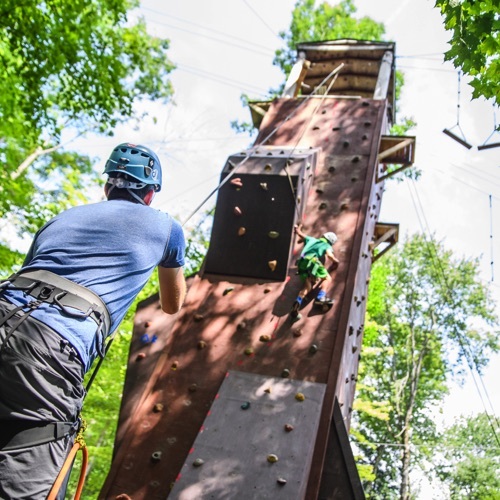 ADVENTURE PROGRAM: Survival Camp, High and Low Ropes Course, Rock Climbing (40’ tower), Real Rock Climbing (42’ on site), Rappelling, Hiking, Geocaching, Orienteering, Zip Line, High Ropes (i.e., Burmese Bridge), Giant Swing, Challenge Course (low ropes), Campouts. CLINIC PROGRAMS: Spy Camp, Survival Camp, Rock Band Clinic, Circus Clinic, Equestrian Clinic, DJ Clinic, Cheerleading Clinic, Skate Camp, Paintball Camp, Improv Clinic. OTHER PROGRAMS: Cooking, Chess, Laser Tag, Academic Tutoring, English as a Second Language, Lifeguard Certification, First Aid Class, CPR Class and Community Service Projects. Can my child specialize in an activity? Yes! The elective free-choice program allows campers to concentrate their time and specialize in any activity of their choice! Campers are guaranteed to get as much as 14 hours of instruction a week in any of our 65+ activities. Most activities offer limitless scheduling time. Every activity offers beginner through advanced instruction. The time spent at the activity is primarily devoted to the improvement of skills. Recreational play is scheduled as deemed appropriate. 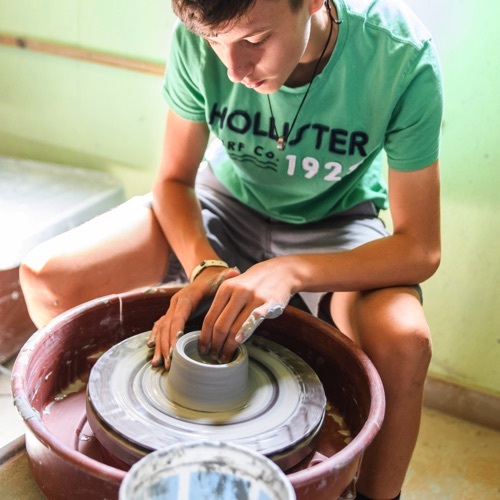 While specialization is an option, most campers schedule a sampling of the arts, sports, and adventure activities featured at camp. We encourage campers to challenge themselves and try lots of new activities at camp. What is meant by success programming? Our activity program, special events and evening programs are all designed to provide campers with numerous opportunities to experience success. A child does not have to be a great athlete to experience success at Camp Lohikan. We provide more activity outlets for the athlete and non-athlete to experience achievement and success than anywhere else! Our supportive environment is perfect for beginners to try something new without anxiety or the fear of embarrassment. Creating opportunities for all children to improve self-esteem and build confidence is central to our camp mission. At Lohikan, campers feel safe and supported. 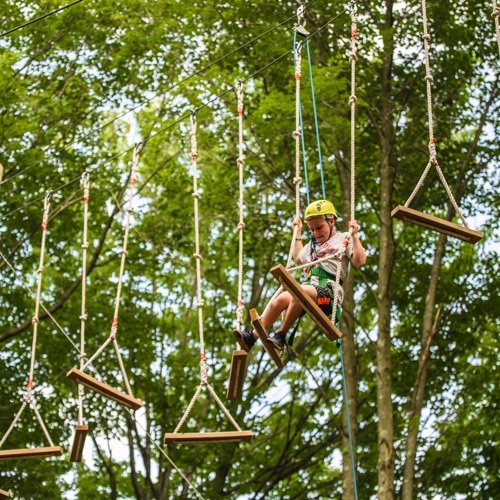 Campers are encouraged to try new things. At Camp Lohikan, kids are more inclined to try new activities because there is no stress or worry about "looking bad". We offer high quality instruction in each of our activity programs. Each activity program is led by a head instructor who is a professional in the field. Activity staff instructors are primarily college-enrolled individuals or college graduates with college level training and coaching or teaching experience. Beginner to advanced instruction and progressive skill learning is available in every activity we offer at camp. Instruction is provided one-on-one and in small groups. While instruction is the focus of the program, recreational play and having FUN with friends is an important part of every activity period. 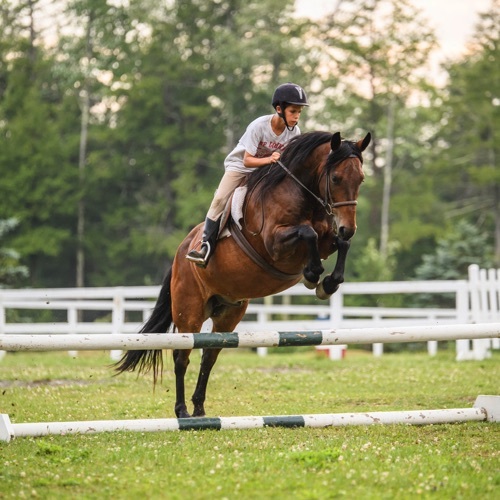 Every activity period, whether it’s tennis, horseback riding or mountain boarding, begins with the teaching of a skill and then leads into play. Our camp goal is to teach campers new skills as well as guide them in sharpening existing skills. To promote skill development we recognize camper achievement in supportive ways, i.e., award presentations, flagpole announcements, and publication in the camp's daily newspaper. How coed is Camp Lohikan? Lohikan’s population is equally divided between girls and boys. The living accommodations for the boys and the girls are located on opposite sides of the camp. Meals, evening activities, special events and snack bar/game room times are coed. Most of the daily program activities for junior campers are scheduled by gender. The daily activities for inter campers are gender specific, except for performing arts, circus arts, creative arts and media arts. Senior activities are generally coed except for contact sports. Are activities separated by age group? Junior campers travel according to a cabin schedule and attend activities with other junior cabins. Inter campers and super juniors on the elective program are scheduled together. 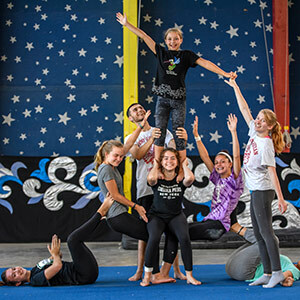 Senior campers are scheduled activities with other seniors except for activities that work well with a variety of ages, i.e., drama productions, circus shows, etc. Campers wake up four days a week at 7:30am and three days a week at 8:30am. Occasionally, late days are scheduled which allow campers and staff to sleep until 9:00am. Evening activities for juniors typically end at about 9:00pm which is when juniors return to their cabin. Super juniors return to their cabins at 9:15pm. Evening activities for intermediates and seniors end at about 9:30pm. At this time intermediates return to their cabins and seniors report to the snack bar/game room for their canteen period (socializing free-time). They return to their cabin with their counselors at 10:00pm. 8:35 - Cabin clean-up and daily cabin inspection. 9:05 - 12:15 - Three 1 hour morning activity periods. 12:20 - Lunch is served. 7:45 - Evening activities begin! Do siblings get to see each other? Siblings can see each other as often as they like. Depending upon the ages of the siblings and the activity, siblings can even schedule activities together! Siblings can always see each other at meal times, daily assemblies, many evening activities, free time, and especially during our Sibling Ice Cream Parties! Is the program competitive or noncompetitive? We consider our program to be noncompetitive. A lot of our daily activities are noncompetitive by nature and many campers schedule these activities exclusively. When it comes to sports, our approach is comprehensive with emphasis on learning the skills needed to play the game and enjoy the sport. 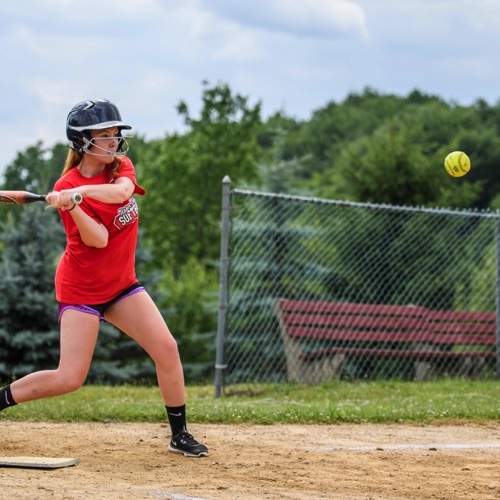 Spirited recreational games are part of the sports program but our focus is teaching our campers that “effort” and “giving it your best shot” are reasons enough for satisfaction. We emphasize that the purpose of the inter-camp games program is to have FUN! …And everyone knows, "You don’t have to be the best to have the most FUN!" Are there inter-camp games? Are there “tryouts”? What is your philosophy regarding competition? We participate in many inter-camp games and we do it without “tryouts”. Our campers participated in more than 150 inter-camp games last summer. Some we won, some we lost, but all were FUN! We believe that competition in moderation is good. The inter-camp games program is operated for kids who enjoy the thrill of competition. The program is filled with spirited inter-camp rivalries. Participation is always optional and everyone gets a chance to play on the team of his or her choice. Sportsmanship and the importance of losing with grace and winning with poise are important lessons that can only be learned by participating in a competitive game. Consequently, we recommend inter-camp game participation to all campers. Inter-camp games are not limited to the traditional sports programs. We participate in chess tournaments, archery and riflery matches, dance and gymnastics competitions, horseshows, flying trapeze competitions and a lot more. It's all FUN! Clinics are specially staffed, concentrated instructional programs designed to focus the camper’s attention and time on improving a specific set of skills. Certain clinics are an outgrowth of programs already operating on a daily basis. These clinics are offered to provide campers with strong interest an opportunity to become immersed in the activity (2-4 hours per day) with the purpose of producing more advanced skills in a relatively short period of time. These “outgrowth” clinics include the Advanced Tennis Clinic, the Equestrian Clinic, the X-Games Skate Clinic, the High-Five Basketball Clinic, the Hip Hop Clinic, Camp-a-Palooza Concert Series, and the Circus Show Clinic. Other clinics feature activities and instruction in skills not offered in the camp’s regular daily activity program. These “special skills” clinics include Spy Camp, Survival Camp, the Dee Jay Clinic, the Rock Band Clinic, the Paintball Clinic, and the Horse Care Clinic. New campers can pre-register for the clinic of their choice in the Spring at no charge. Most clinics can also be joined during the summer at no charge. Each four week session features an all-camp day trip to a major amusement park like Dorney Park and the Wild Water Kingdom. During the summer we also take small group trips like the senior trip to the Wayne County Fair (optional) and our Visiting Day Trips for campers without visitors. Additional popular trips like Delaware River Canoe Trips are scheduled throughout the summer. There are also trips that are awarded to cabin groups as prizes for weekly cabin clean-up inspections, evening activity games and special events. These trips include Ice Cream Trips and Villa Como Pizza Parties. Our annual 3-Day Trip is an optional trip for which there is an additional fee. The trip is limited to one coach bus and in the past these trips have included: Niagara Falls, Canada’s Wonderland, Ontario Science Center, Williamsburg, Va., Washington DC/Kings Dominion Amusement Park, Boston/Six Flags and more. Additional fee trips would also include golf trips to the local golf course, river rafting trips and the Wayne County Fair Trip. For short trips the campers are transported by camp vans and mini-school buses that are driven by members of our senior staff who are appropriately licensed. Drivers are trained and tested during staff orientation and certified by our insurance company before transporting campers. For longer trips we use professional drivers and school buses. For our annual 3-Day Trip we use coach buses. There is a visiting day scheduled in July (usually the 3rd week of camp) and August (usually the end of the first week of August) for parents to visit their campers, meet staff and enjoy the summer camp setting. Parents, siblings and family members are all invited to join us for a beautiful day in the country! Enjoy a swim in the lake or pool, go boating, play tennis, shoot hoops, view the arts exhibit at creative arts, check out the circus show or watch an awesome horseshow at the stables. There’s a lot to do! You can also bring a picnic lunch or join us for our Visiting Day Barbecue Lunch. Everyone’s invited! If you prefer, parents can also take their campers for a visit off campgrounds. Because we have campers from all over, not every parent can attend our visiting days. In these cases, campers without visitors are provided a fun day program out of camp, which usually includes a trip to the movies and McDonalds. Describe your special events program. Exciting special events are scheduled every week. Special Events diversify the daily program with entertaining, fun events like: Olympics, Water Carnival, X-Games, Boating Regatta, Carnival Day, Summer Fest, Tribal Survival, Bragging Rights, Senior Beach Parties, Camplified, and more! What do campers do in the evening? The highlight of each day is the evening activity! Every night features a different fun event designed specifically for each camper age group. Camper favorites include: the Super Star Games, Night of the Classics, Mad Mike’s Mimic Mania, the Rock Hunt, the Ceremony of Chief Lohikan, the Roman Toga Social, the Sadie and Sammi Hawkins Nights, Lohikan Idol, Ms. Lohikan, and a lot more! Click here for Camp Lohikan’s Events Calendar. We are situated on a mountain top overlooking a private lake and miles of mountain vistas. The view is one of outstanding natural beauty. Our camp occupies 1200 acres which includes top notch arts, sports and adventure facilities each of which is designed to accommodate one or more of our 65+ arts, sports, and adventure activities. Our campsite sits in a preserved natural environment which has seen little development in 60 years. It's a terrific location for a summer camp! We never stop renovating and updating our facilities. Over the course of our 61 year camp history, much has changed. Our current facilities feature: Eleven lighted hard-surface tennis courts, indoor and outdoor basketball courts, six sports fields, fully equipped gymnasium, bungee trampolines, indoor and outdoor riding ring, indoor and outdoor flying trapeze, circus building, culinary arts building, huge skate park, heated swimming pool, high and low ropes course, a real rock climbing site, indoor and outdoor theater, music recording studio, dance studio, media arts center, creative arts center (with 14 workshops), indoor roller hockey rink, sports center, five outpost overnight sites, quad track, archery and riflery ranges, speedball and woods course for paintball, 50+ boats on the lake, fully equipped health center, and a lot more. Click here for a complete description of Lohikan’s facilities. What about rainy day facilities? Camp Lohikan has over 40,000 square feet of indoor activity space to utilize in the event of inclement weather. 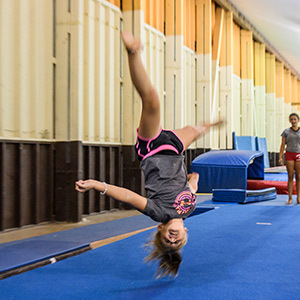 We have an indoor riding ring, an indoor flying trapeze facility, indoor creative arts center, gymnastics center, indoor roller hockey rink, indoor facilities for theater, dance, music, rock band, woodworking, and a huge rec hall, sports center, culinary arts building, and circus building to accommodate large group activities. We don’t sit around when it rains. Fun rainy day programs are a favorite for many campers, i.e., Miss Lohikan Show, Horse Racing, Dancin’ with the Staff, etc. Our swimming pool is a heated pool (25 meter) centrally located on the camp grounds. The pool facility is used to conduct instructional swimming classes and operate recreational swims, swim meets, scuba classes, snorkeling, water polo and pool parties. Do you have a lake? We have a GREAT lake! The lake happens to be one of the most popular sites in camp! Our lake is private and reserved for the exclusive use of our campers and staff. We have over 50 boats on the lake and campers receive instruction and certification in sailing, windsurfing, canoeing, kayaking, water skiing, and jet skiing! 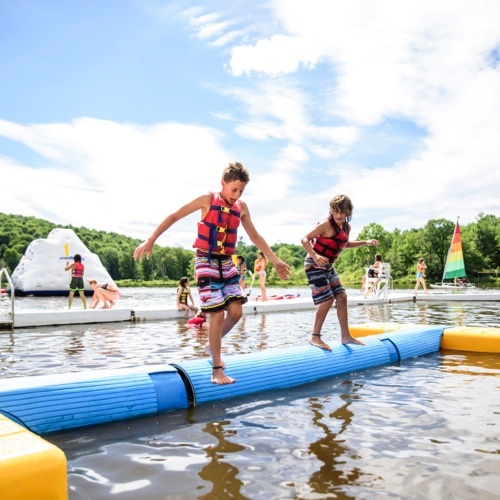 In addition to boating activities, campers also swim in the lake because Pennsylvania lakes are typically warm during the summer! We also have a number of fun water park activities at the lake like the 14’ tall Lake Iceberg, the 150' Lake Waterslide, the Tarzan Swing, the Water Trampoline and Blob, the Rolling Log and the Banana Boat! They’re all camper favorites! What do you know about the first-time camp experience? Getting ready for the first-time camp experience can make a child nervous and apprehensive. Questions frequently asked include, “Are the counselors nice? Can I do the activities I like? Will I make friends? Will I feel at home?” As directors and owners of Camp Lohikan, it's our responsibility to make sure that the answers to these questions are always ''YES!'' It takes a lot of time and effort to find counselors who will meet the needs and expectations of our campers. It also takes time and tremendous preparation to ensure that the summer program is both interesting and stimulating for our campers. However, when it comes to helping a homesick child tackle the hurdles of being away from home, it takes more. This requires special experience and sensitivity. Our expertise in providing first-time campers with successful summers stems in part from our 61 years of experience working with children in the camp setting. It's also our personal approach and commitment to the happiness of our campers that makes a difference. Unlimited individual attention is sometimes required to help in tough cases. Our entire camp staff is recruited and trained with this camper need in mind. We are committed to the happiness of our children and we stand ready to offer the special attention required by first-time campers. This is what we do best! For literature describing the preparations parents should make to ensure that the first-time camp adjustment is a smooth and easy process, contact our office at 908-470-9317. Even seasoned campers sometimes get homesick. It’s natural to miss mom and dad when you’re away. All of our staff members are trained to identify the tell tale signs of homesickness and how to teach or reinforce the skills to overcome it. Professional care givers (division directors) stand ready to jump in and lend a hand when needed. The entire camp staff understands that the first-time camper will encounter homesickness in one form or another. Everyone from our general counselors to our tennis pro understands that an important goal of the summer is the camper’s growth as a person. We have an exciting program, dedicated staff, and a huge bag of tools to ensure that homesickness will be cured. We're so sure, we back it up with a Tuition Refund Guarantee. We are the First-Time Camper Specialists! How can I keep track of my camper's adjustment? Parents are kept informed of their camper’s adjustment at camp by the division director. The division director is the senior staff member who works most closely with the campers assigned to the division. Division directors meet with each of their campers several times during the day and keep close tabs on first-time campers. If you have any questions about how your camper is doing, the division director will be able to give you up to the minute details. What makes your staff unique? Our staff understands that camp is all about the kids. We recruit individuals who are willing and able to put the interests of the campers first. Along with personality, character, credentials, and experience we search for individuals who are "kind". Our staff application, which is completed by every first year staff member, asks the applicant to relate a recent act of kindness. These acts of kindness weigh heavily in our evaluation process. The personality, character, credentials and experience of our staff makes each of them unique. Personality: Personality gives the camp its flavor. We have a lot of friendly, outgoing people who are happy to have the opportunity to be a positive influence in your child’s development. Character: We spare no expense or time in interviewing, screening and selecting the best camp staff. Every staff member is selected on the basis of his or her acceptability as a role model for children. We also search for individuals with counseling and camp experience. Credentials and experience: Lohikan’s senior staff consists of high school and college coaches, teachers and other professionals. Senior staff members and program heads bring years of experience to the camp program and provide professional instruction and supervision. Lohikan’s cabin counselors are primarily college-enrolled individuals. Many of them are staff instructors and have a specialty in a particular art, sport or adventure program area. Why should our family choose Camp Lohikan? So many people put their heart and soul into making the Camp Lohikan experience special that it’s hard to limit the reasons why we think Camp Lohikan is the BEST CAMP! At Camp Lohikan we believe we take "camp" to the next level. We’ve got the staff, the facilities, and the unique programming that guarantees the camper will experience success and FUN on a daily basis. Amazing things happen when the child is having FUN in our supportive, caring environment. Kids learn how to make and keep friends. They learn about themselves and how to manage life’s challenges. They achieve feats which might at first seem impossible. As a result our campers stand taller and walk with more confidence after the camp experience. That's why we live for camp! Our campers do too! If my child leaves camp because of homesickness, will I get a refund? Yes. Our success rate with new campers is extremely high. We are so confident in our expertise with first-time campers that we back up our services with a refund policy you won’t find anywhere else. If the camper’s homesickness is such that the parent decides to take the child home, we will refund the portion of the tuition allocated to the days the camper leaves camp early! The camp absorbs the loss for the days the camper leaves early and you lose nothing! Our Great Camp Guarantee is described in detail and can be viewed by clicking here. Based upon phone call surveys and written questionnaires, 99% of our campers had the summer of their lives and want to return. However, we generally run about an 80% return rate. About 15-20% of our campers will be new and their ages extend from the junior to senior divisions. What is the best age for children to start attending Camp Lohikan? Camp Lohikan accepts campers ranging in age from 6 to 15 years old. We have campers that start camp at every age. New campers join us each summer as juniors, intermediates, and seniors. Regardless of age, a new camper will never be assigned to a cabin where there are less than three new campers. We have found that the best age for the child to start camp is when the child expresses the desire to attend sleep-away camp and is excited about all of the activities we have to offer. Most of our campers start camp as juniors (6-10 years old). With respect to our youngest campers, before attending camp, these children must have mastered basic personal skills like being able to take a shower and wash their hair, getting dressed, etc. Counselors assist young campers with everything they need but campers must be able to handle the basics. Yes. We have families who would be happy to speak with you about camp. Call us at 908-470-9317 or email your request to info@lohikan.com. Can I add a session after my child is enrolled? Session changes can be made as long as space is available in your child’s age group in the desired session. Many sessions fill quickly and therefore, changes are not always possible. Are there other costs in addition to the tuition? The only additional mandatory fee at Camp Lohikan is the canteen fee. The canteen fee covers the camper’s daily canteen (snack bar) allowance, a Lohikan T-shirt, admissions to amusement parks and bus transportation, off-camp trips, and a subscription to the camp newsletter. Certain optional services are available at an extra charge. These include the camp’s bus and baggage transportation service to and from the camp and linen rental (blankets, sheets, pillow, pillowcase). The camp’s weekly laundry service is included in the camp tuition. All daily activities are included in the camp's tuition except for horseback riding (in excess of 1 period a week), jet skiing, quad riding, dirt bike riding and paintball. Jet skiing, quad riding, and dirt bike riding are available at the rate of $15 per period. Extra horseback riding (in addition to the one free period included each week) is $25 per period. Paintball is charged at $30 per session which typically extends to 3-4 hours. The only extra money a camper will need is the money spent while attending an off camp trip. Since the camp covers the admission and transportation and supplies meals, the money is typically used for souvenirs and specialty food purchases, i.e. ice cream. Usually campers bring $5 to $10 per week for use during off camp trips. Cash is kept in the camp safe for the camper. Money not used by the camper is returned to the parents when the camper departs camp. Why are the tuition prices so reasonable? Compared to most private camps our full season is longer (56 days vs 49 days) and less expensive ($2000-3000 less). We are often asked "How can you do it?" One big reason is that our camp has been owned and directed by the same family for 60 years. We're not servicing a multi-million dollar mortgage and we don't have hidden partners. Our camp is also 50% winterized and we operate longer than the summer season. Consequently, our costs of operation are amortized over a longer period. We also benefit from economies of scale because many summer expenses are shared with Lake Greeley Camp and Camp Cayuga which are two other camps operated by the Buynak family. Probably the biggest reason is that we’ve been doing camp a long time and we’re good at it! Cell phones are prohibited in camp. Campers traveling by air are allowed to travel with a cell phone but these phones are collected and returned for the trip home. We have found that cell phones interfere with a camper's acclimatization to camp life and impedes the development of independence, which is a camp goal. In addition, cell phones can access the internet in our area and to allow minors access to the internet without adult supervision is irresponsible and dangerous. Furthermore, because of the level of supervision we provide in and out of camp, cell phones don't provide the same value as they do at home where security and protecting the child’s safety is a legitimate concern. In so far as the need to contact home while at camp, campers have access to email on a daily basis, so cell phones have no value in this regard. Because of these reasons, cell phones are prohibited in camp and will be confiscated when found. We recommend that electronic devices be left at home. They tend to be expensive and fragile. Furthermore, electronic devices are prohibited and will be confiscated if they are capable of: (1) taking or storing pictures and/or movies (privacy issues), or (2) communicating via the internet, or (3) operating as a cell phone. Can I send my child “care packages” during the summer? Yes. Campers look forward to receiving packages from home. Guidelines as to what can be sent and cannot be sent are detailed in the Parent Handbook. Books, games and supplies are always fine. Certain food items can be mailed as well. Can I tour the campgrounds? Tours of the campsite are available year-round. Call us at 908-470-9317 or email us at info@lohikan.com and we’ll make the arrangements. In the spring we schedule an Open House which is highly attended by first-time campers. The Open House is a perfect opportunity for first-time campers to meet, enjoy a barbecue, take a tour of the campgrounds, meet summer staff members and maybe even make a new camper friend! If you have any other questions, please call us! You can reach us at 908-470-9317 or info@lohikan.com.